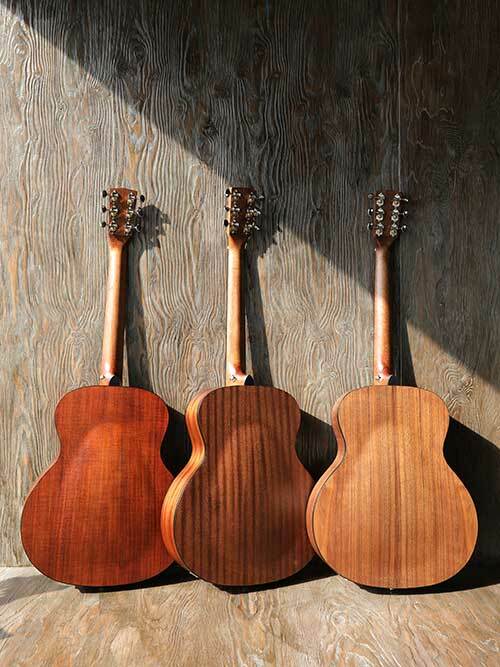 The Little CJ Blackwood is identical to the Little CJ OP except for its stunning solid Blackwood top and Blackwood back and sides. 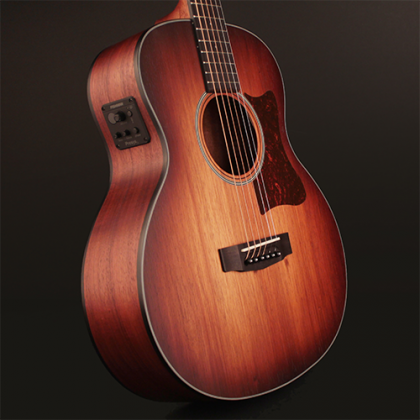 It also features a Mahogany neck, Ovangkol fingerboard, 23.5” (597mm) scale length, Fishman Presys II electronics and a gig bag. 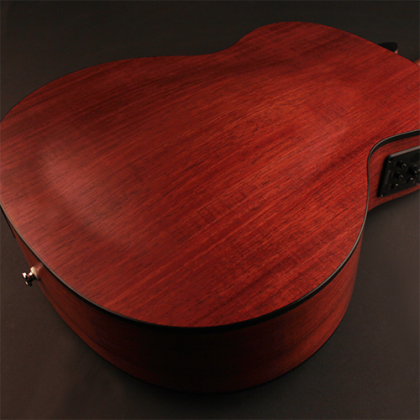 The arched back also enhances comfort for hours of playing as well as a V-shape neck profile to better fit smaller hands. 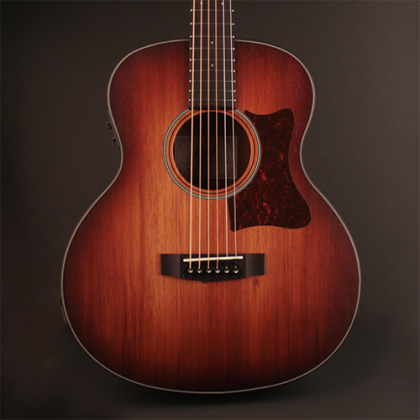 Whether you want to take a compact yet great sounding acoustic to a camping trip or a local coffee house gig, the Little CJ Blackwood will provide the look, performance and flexibility to meet virtually any playing requirements. 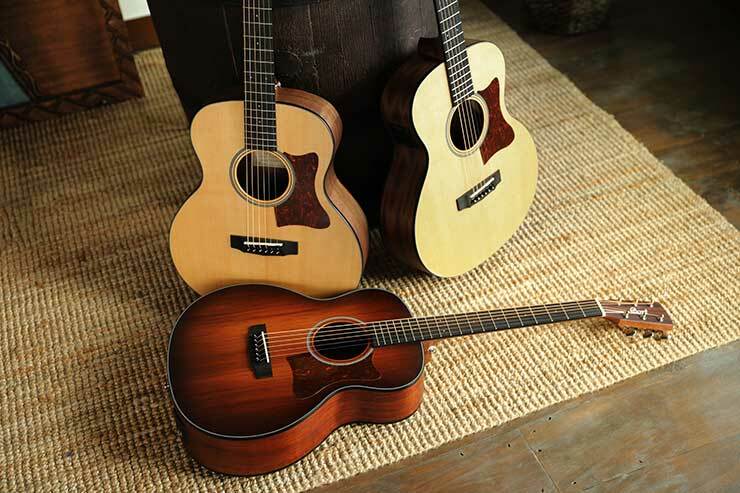 The smaller size makes it ideal for the mobile musician or for the casual hobbyist who wants to take a good-sounding acoustic on vacation or business travel. 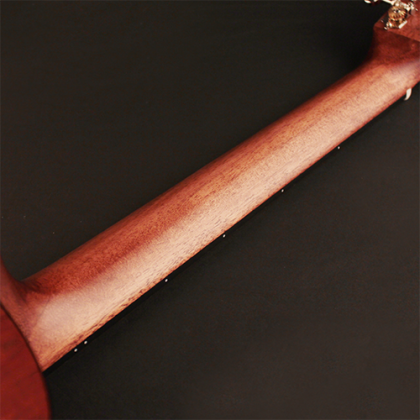 The all-blackwood body with a natural, open-pore finish of the Little CJ Blackwood ensures that this guitar will age as desired allowing the wood choice to resonate naturally. 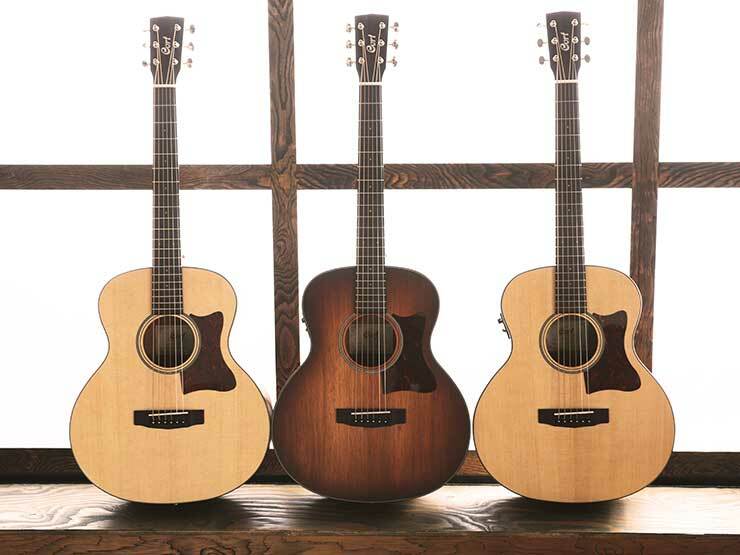 In terms of tonal quality, players will find that the all blackwood construction provides balanced dynamics, with ample bottom-end response that doesn’t inhibit the top-end. 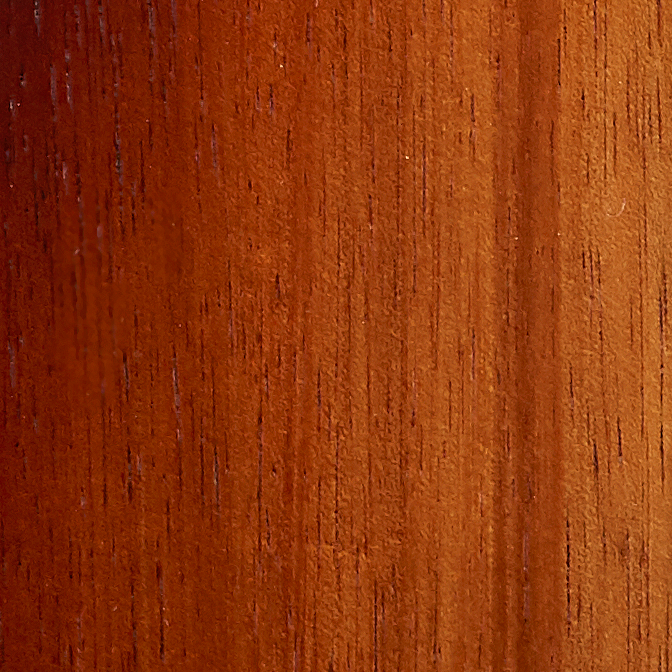 Blackwood is like a combination of the low-mids of mahogany, the brightness of maple and the rich overtones of rosewood. 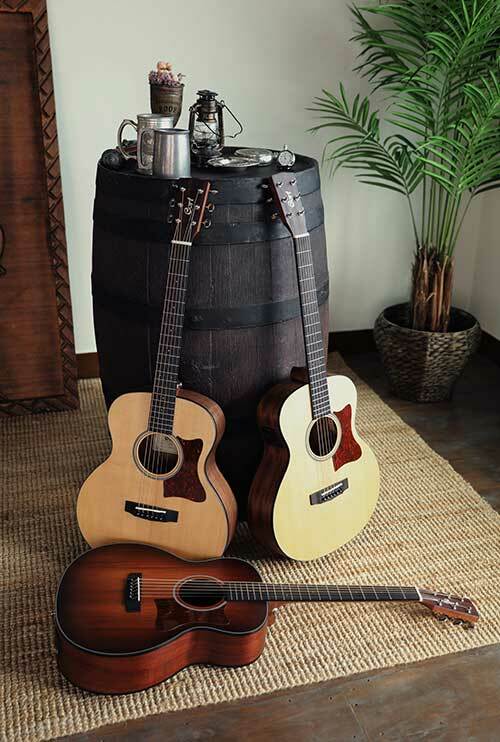 This versatility makes blackwood stand out for both fingerstyle playing or strumming as well as being a perfect match for the Blackwood top. 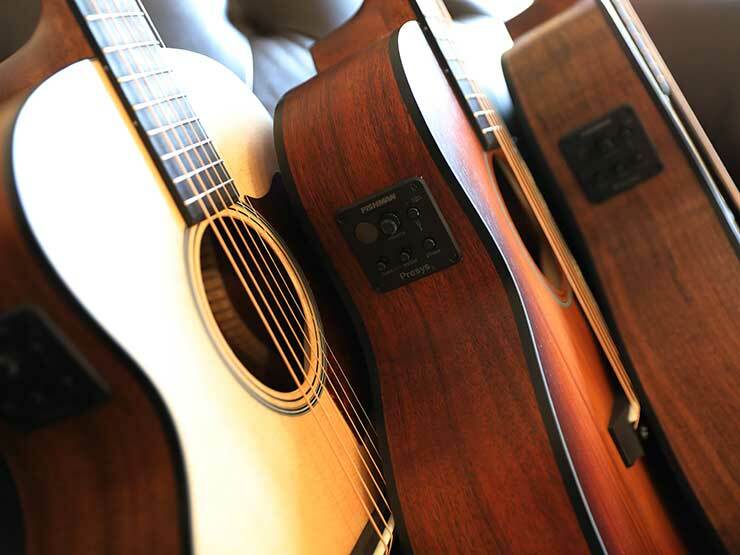 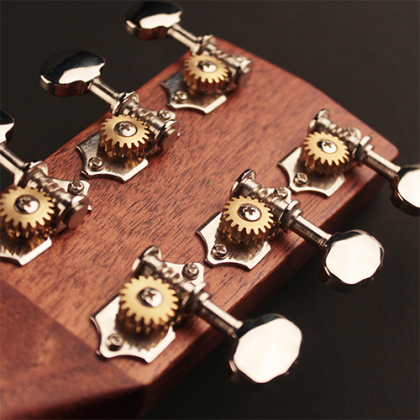 Relatively lightweight open gear tuners (18:1 tuning ratio) makes the tuning process a breeze. 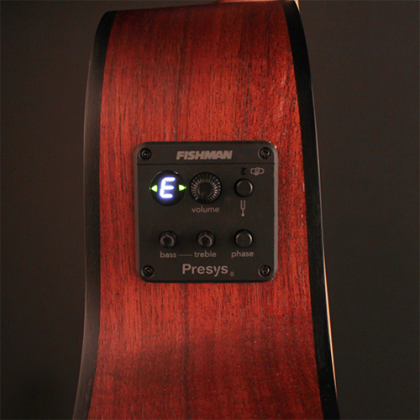 The Fishman® Presys II Preamp with 2-band equalization, built-in tuner and a Phase switch for effective tone shaping and noiseless operation during live performances. 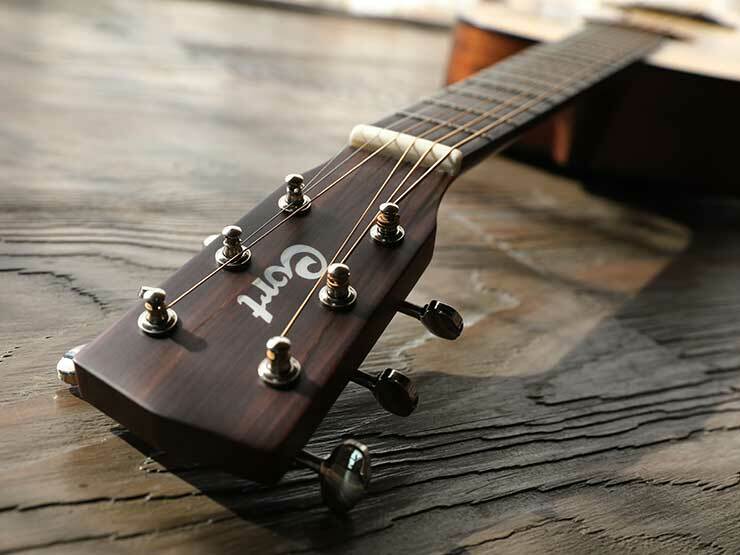 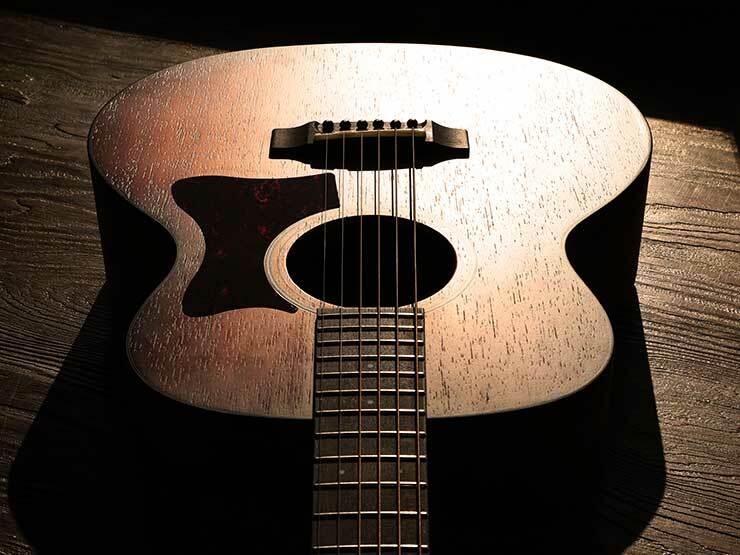 Although a mini-sized acoustic body, the scale length of 597㎜(23.5”), soundhole size, body thickness and size of the headstock have all been optimized to produce the best possible sound quality and performance as well as enhanced playability for guitar players with small hands and physique. 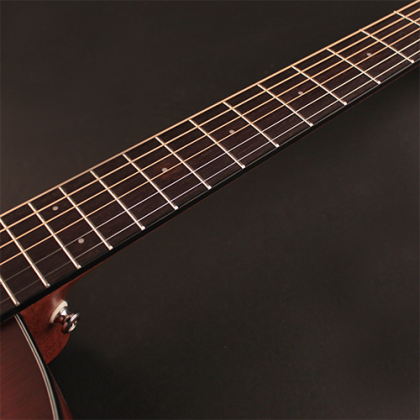 The exclusive scooped surface bridge from Cort enhances sustain with greater string angle from the saddle to the body while reducing tension on the strings across the neck were less finger fatigue and improved playability. 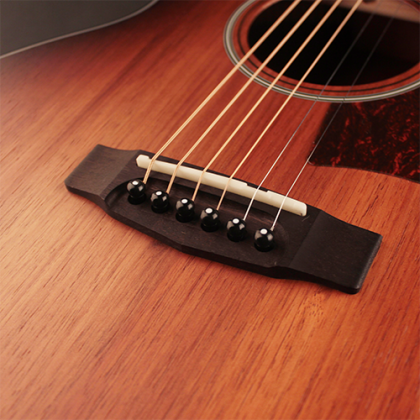 A commonly used neck shape on downsized acoustics for ease of playability, the V-neck shape is easier for smaller hands to grasp and maneuver.